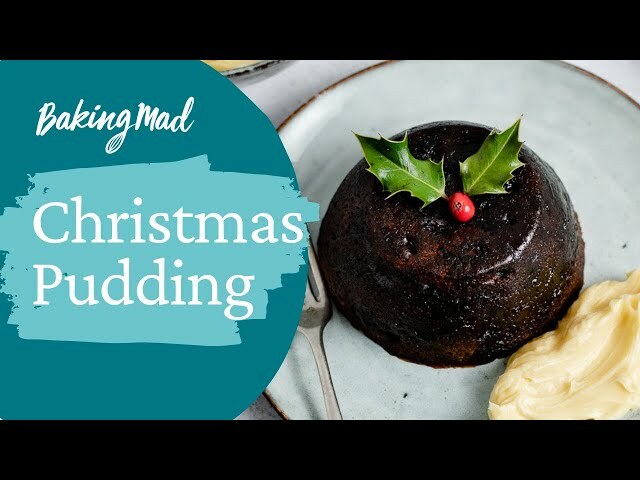 What would Christmas be without Christmas pudding? This traditional recipe filled with dried fruits, candied peel and brandy is sure to be a hit on the big day. Typically this recipe is made up on stir up Sunday giving it plenty of time to mature in flavour. Put the dried fruit, brandy, juice and zest of the orange in a bowl. Cover and soak overnight. Grease a 1.25Lt pudding basin and line the base with non-stick baking parchment. Spoon the pudding mixture into the basin and press down well. Cover with a pleated piece of buttered foil with the buttered side towards the pudding. Fold the foil over the edge of the basin and tie with kitchen string so no steam can escape. Make a string handle to lift the hot basin out of the pan. Leave the pudding to cool then lift from the pan. Replace the string, foil and paper with a fresh lot. Store in a cool, dark place until needed. Before serving, steam in exactly the same way for 1 ½ hours.